WASHINGTON, D.C. — The Federal Communications Commission today, in a 2-1 vote, moved forward with its plan to rollback net neutrality protections and declassify the internet as a public utility. Consumers Union, the policy and mobilization arm of Consumer Reports, is a strong proponent of net neutrality rules and has long warned of the consequences of undoing these protections. 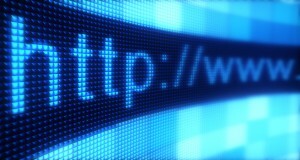 Jonathan Schwantes, senior policy counsel for Consumers Union, said “Protecting net neutrality means preserving the internet as it was designed — a free, open platform for all that has spurred tremendous competition and innovation. Eliminating the Open Internet Order takes away the internet’s level playing field and would allow a select few corporations to choose winners and losers, preventing consumers from accessing the content that they want, when they want it. Consumers Union is part of a broad group of stakeholders urging consumers to support net neutrality rules. Consumers can click here to sign a petition to the FCC.